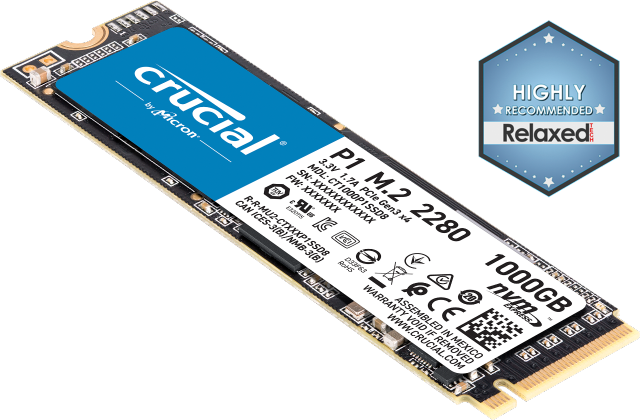 Designed for first-time SSD installers using a standard desktop PC (HP, Dell, Lenovo, etc.) 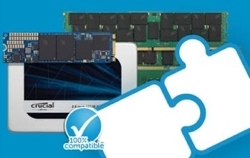 or certain Apple® systems (iMac® computers and Mac Pro® systems manufactured from 2006-2012), this converter allows you to securely install a Crucial SSD in these systems’ large storage bays. In these types of systems, the existing hard drive is often significantly larger than a standard size SSD (3.5-inches versus 2.5-inches). This converter solves the problem by allowing you to easily install a 2.5-inch SSD in virtually any system that requires a 3.5-inch drive (desktop PCs, 3.5-inch HDD duplicators, 3.5-inch SATA hard drive enclosures, mobile racks, backplane modules, and servers). This converter also provides the added benefit of easy ventilation, which helps your SSD stay cool and maintain consistently fast speeds. SSD sold separately.